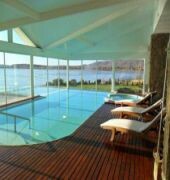 Xelena Deluxe Suites Hotel is advantageously located by Lago Argentino in El Calafate, Santa Cruz province, Patagonia Argentina. El Calafate is an attractive tourist village considered the main entrance to the wonderful tour of the glaciers. El Calafate was name after a typical bush of the region which, according to legend, those who eat from its fruit will return for more. It is the closest city to visit Los Glaciares national park and its world-wide known Perito Moreno glacier, declared Natural Patrimony of Humanity by UNESCO. 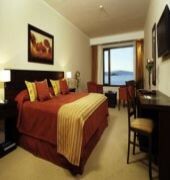 There is a shuttle service available for Xelena Deluxe Suites Hotel guests to the city centre. 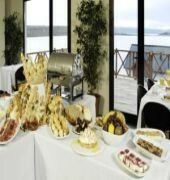 With 71 luxury rooms overlooking Lago Argentino, 70 m2 in-out heated swimming pool, spacious deluxe suites, its unique atmosphere and superb fully equipped convention centre and meeting rooms, Xelena Deluxe Hotel is unquestionably a sign of distinction. Hospitality, comfort and technology combined in a paradisiacal location to make your stay unforgettable. 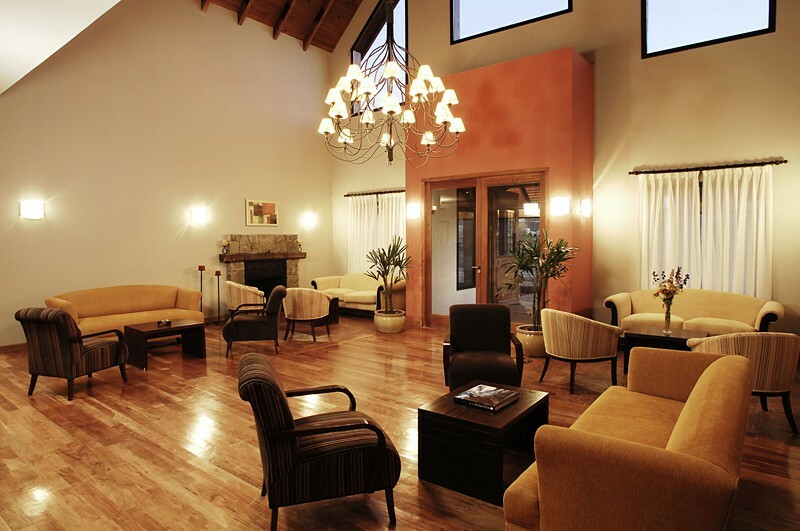 Located by Lago Argentino in El Calafate and built along the coastline, the entire hotel spectacularly overlooks the lake; with exclusive banqueting facilities for over a hundred and fifty people, its residents-only health and fitness club and health bar, and the latest technology in every room, as well as sauna, dry sauna, gym, massage room, relax room, scottish shower, 24-hour butler service for deluxe and presidential suites among other amenities along with the most excellent service all go to make this the perfect place in Patagonia. Rooms and Amenities Xelena Deluxe Suites Hotel, with an astonishing view of Lago Argentino and the latest technology, features 71 luxury rooms, including 43 standard rooms, 6 triple rooms, 15 Junior Suites, 4 Special Junior Suites, 2 magnificent Deluxe Suites and 1 superb Presidential Suite. In Room Amenities: . LCD widescreen TV with DVD player and HOME THEATRE . Electronic Lock and safe box . Remote-controlled curtains system. . Jacuzzi in every room and luxury amenities. . Broad Band with Wi-Fi Internet access in each room and public area. . Heated floor with controls in every room. . Telephone in all the room toilettes. . Exclusive Minibar. . Bathrobes in every room. Services and Facilities There is a variety of exclusive services and facilities available for the comfort of the Xelena Deluxe Suites Hotel guests, such as: . Health and Fitness Club. . 70m2 heated in-out swimming pool. . Massage room. . Relax room. . Scottish shower. . Dry Sauna. . Gym. . Health Bar. In addition, guests can take pleasure in the warmth, cosiness and services of the following: . CORAL: an exclusive Coffee Shop for 200 people overlooking the lake. . MORA: a world-class restaurant for 160 people. . PIERROT: a cosy bistro heated by a magnificent fireplace. Meetings & Events Its versatile and spacious convention centres, Ambar for more than a hundred people and Coral for more than 110 people can be combined, among other combinations available, into Ambar & Coral room to hold over 200 people. This makes it the ideal venue for parties, celebrations, conventions or business meetings of any kind.